We can Move That Item, No Matter What It is. Trust your valuables to the best mover there is. Finding a mover that does local moves is simple enough, but do they have the experience to move you to another country? Probably not. Most moving companies only offer inner-city or state-to-state moves. 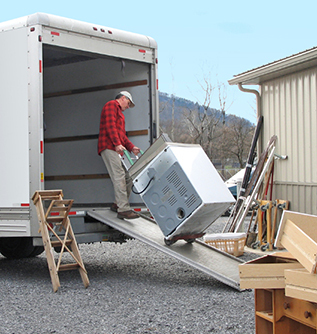 At All The Way With Bill Vernay Inc. we offer local, long distance and even international relocation's. Need to move out but don't have a place to move into yet? At All The Way With Bill Vernay Inc., we've got you covered. We have a 16,000 Ft. Climate Controlled Warehouse for all of your storage needs. Rest easy with the knowledge that you're trusting your belongings to a member of the American Moving and Storage Association.